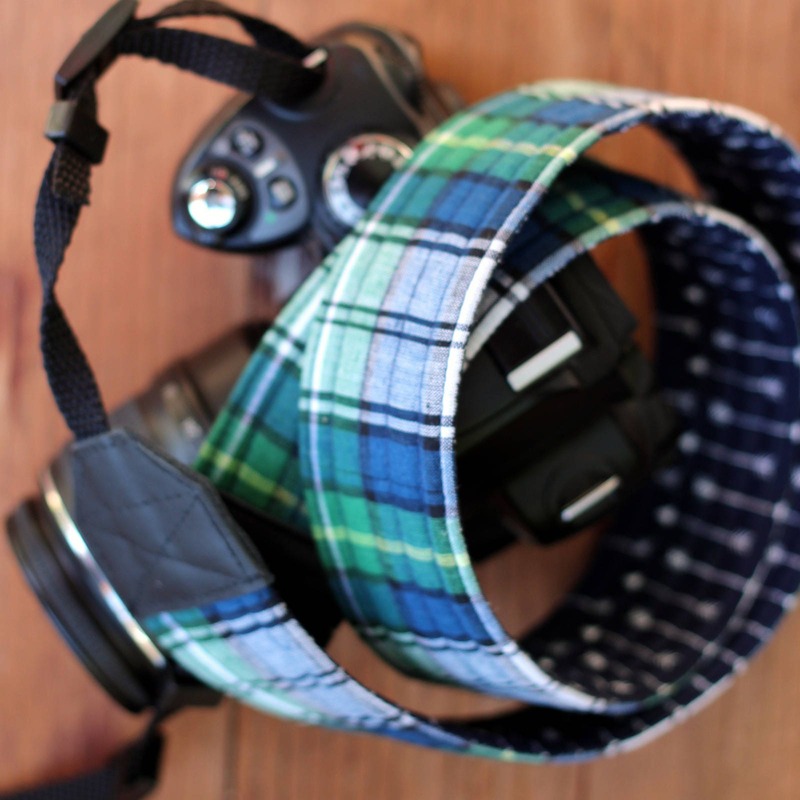 It's not easy finding good, high quality camera straps for guys. This handsome one fits the bill perfectly. 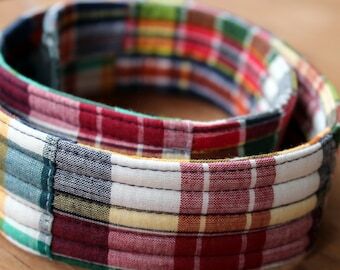 Featuring navy blue, green, and white this strap is subtle and will easily coordinate with most anything. 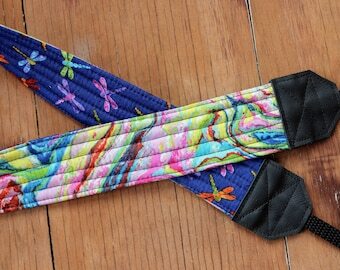 The camera strap is lined on the inside with fleece for comfort when wearing. It is crafted around strong webbing to create a strap that is comfortable, won't stretch, and is sturdy enough to last for years. Snug, high quality end slides and keepers included.